ARD has its own concrete factory. The factory is used for precast production in a rate of 160 m3/hour and 120 m3/hour and for c10, c15, c20, c35 etc. The Factory use a programmed system to mix the materials which the modern and effective way. 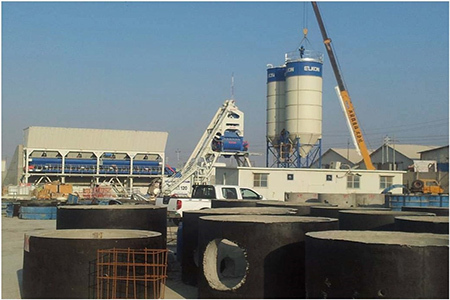 It has the ability to product concrete piles, T wall, pipe supports, concrete manholes, Gantries etc.